President Maitripala Sirisena is reported to have asked for a report on the salaries paid to the members of the board of directors of SriLankan airlines. 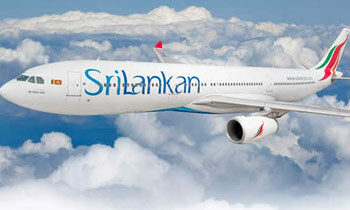 The Cabinet yesterday summoned the airline's board of directors to inquire into the alleged irregularities in operating and managing SriLankan. At this meeting, it had transpired that some key officials draw exorbitant salaries with the monthly salary of a particular official being as high as Sterling pounds 13,000. According to reports some ministers including Rajitha Senaratne and Sarath Fonseka had been critical of the airline operations. Minister has to be answerable when the new government took the responsibility and forwarded the mistakes and made corrections. Mr.Pres. Could you please focus on garbage crisis. this may be the only country that pay big salaries for heads of an organization to make losses. it is ridiculous. though too late, please take immediate measures to put an END to these things. These are the real reasons for the down fall of our airline. What do you expect when the Chairman is a government stooge and the CEO is only a pilot and relative of Charitha Ratwatte and proved to be highly unsuitable as the key Manager. A very sad state of affairs. The airline is running at a massive loss which is burdened on the tax payers and now the high salaries. These politicians heed to be sent home NOW. Even of the ship is sinking, the party goes on. Did the President wake up only now? Hand it back to nishant w.